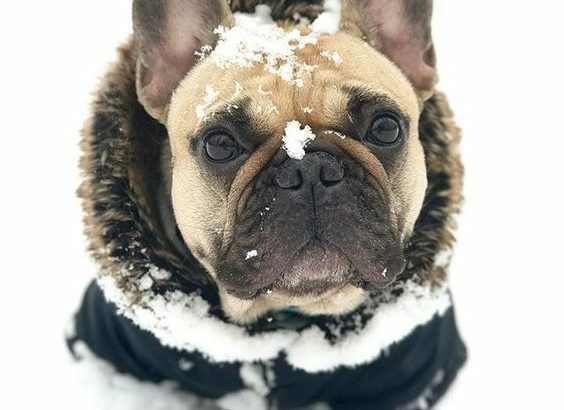 Elite Bulldogs created a list of five must-know French Bulldog winter care tips to help keep them safe and sound as we say hello to winter's cold. If you have ever been outside and noticed a dog wearing a sweater and immediately the word "Diva" comes to mind, you are not alone. But unlike their long haired counterparts with natural sweater-like fur, French Bulldogs (and other short-haired dogs) actually need this extra layer of protection to help keep their bodies warm while outside in the cold. Sweaters can range in cost from $10 to $40 depending on the level of warmth you need for the cold weather in your local area. You can find everything from light sweaters, to heavy sweaters, to full on (almost) full body sweaters. If you're a Frenchie,"warm" goes well with everything. Where ever you find snow and ice, you find just as much ice-melting chemicals on the sidewalks and roads you use on your daily walks. The chemicals used in unison with road and sidewalk salts can dry-out, crack or even burn your Frenchie's paws if left uncleaned, leaving your Frenchie in misery. In a worst case scenario, leaving their paws uncleaned can allow your Frenchie access to lick these chemicals from their paws and unintentionally ingest them. To help prevent this, use a towel after every walk to wipe each of your Frenchie's paws and remove any unwanted and potentially toxic chemicals. Soaking your Frenchie's paws in warm salty water is the best way to clean their paws and rid them of any chemicals that may irritate or harm them. You may not want to do this after every walk. Instead, try using good old fashioned Vaseline and applying it to each of their paws before going outside. Vaseline acts as a protective layer between your Frenchie's paws and the irritants or chemicals on the pavement or roadway below them. Once finished with their walk, simply use a towel to wipe the vaseline from their clean and (likely) softer paws! Does your Frenchie get a dry nose during the winter months like so many other flat-nosed breeds? If so, try applying Coconut Oil. Coconut oil excels as a natural way to help moisten and heal your Frenchie's nose. And in addition to softening up that cute little nose, it contains the ability to disinfect and encourage healing on minor scrapes and cuts! You know you've seen them. The videos of dogs wearing booties for the first time; walking with the grace of a new born colt learning to take its first steps. Besides providing wildly entertaining videos, booties serve a practical purpose for protecting your Frenchie and their paws during the winter. Like Vaseline, booties also provide a layer of protection from harmful winter chemicals and painful snow and ice that can accumulate between their toes. But unlike Vaseline, you don't have to wipe the boots or soak their paws after every walk. Just remove all four boots, and you're done. Salt, chemicals, ice, snow and every other discomfort your Frenchie's paws can experience during the winter become a thing of the past. You're Frenchie will enjoy the extra protection, while you enjoy watching your own recording of the first time you put theirs on. 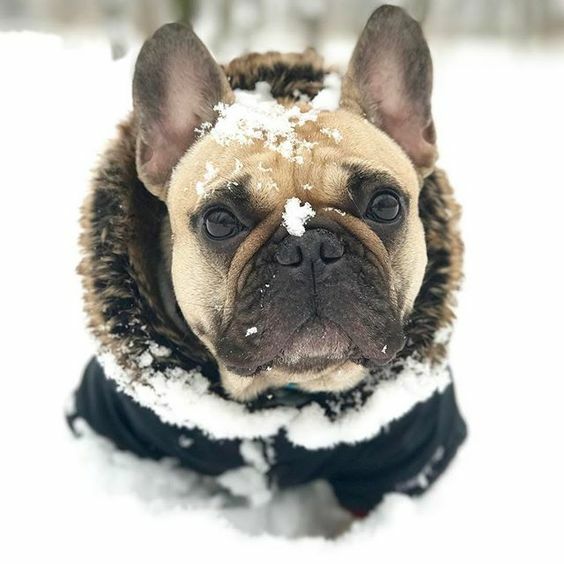 Following these five French Bulldog winter care tips will help ensure your Frenchie's enjoy a warm(er) and safe winter season! Have a tip that we missed? Tell us about it in the comments below!